Are you one of the signs? 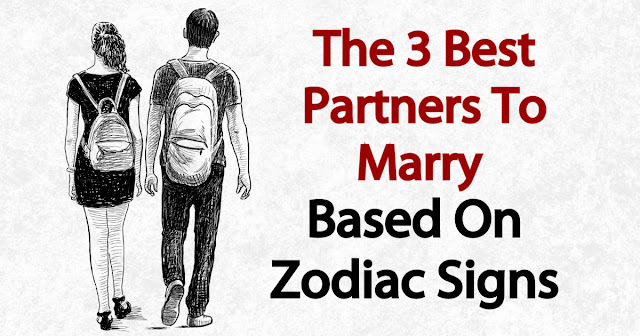 if you want to put yourself in the best possible position to have a flourishing love life, you would do yourself a big favor by exploring relationship options with any of these three signs. Remember not to force anything and always try your best to let love just come naturally to you. The universe is on your side so as long as you don’t try to fight it. The reason why these Aquarius people make such great partners is because they have very pure and kind hearts. They are very genuine people who always want to do what is right. They are selfless individuals who would willingly make compromises and sacrifices for the sake of the relationship. They are very communicative and they are also incredibly loyal. There are no limits to the amount of work they are willing to put into a relationship. What you see in an Aquarius is always what you get. They don’t have a dark side to them that they try to conceal from you, and you will rarely be disappointed with an Aquarius even as you get deeper into the relationship. They are also very keen on freedom, and they understand whenever their partners ask for space or time to breathe. However, it can be very difficult to win over the affections of an Aquarius because they have very high standards when it comes to choosing romantic partners. Cancers are very intimate and passionate people. They absolutely love being in love. They value their relationships more than anything else in the world, and they are the kinds of people with whom you can build a solid family foundation with. They always carry positive vibes, and they are known to always expect the best out of people. They are very soft-spoken and kindhearted people who never like to step on any other person’s toes. The only thing it takes for a Cancer to fall in love with you is if you show them limitless passion and commitment. They are impatient at times, but it’s only because of their immense passion for life. They are also natural nurturers and they would make great parents if kids are ever in your future. If you have ever met a Leo before, then you know that they are some of the most charismatic people you will ever encounter in life. They are confident and strong people who never hesitate when it comes to going after what they want. They are very smart, creative, and hardworking. They are also very interesting people and you are assured that you will never be bored in your relationship together. Just make sure to always give them the freedom and space to express their creativity and their passions. They never liked feeling boxed in or constricted.